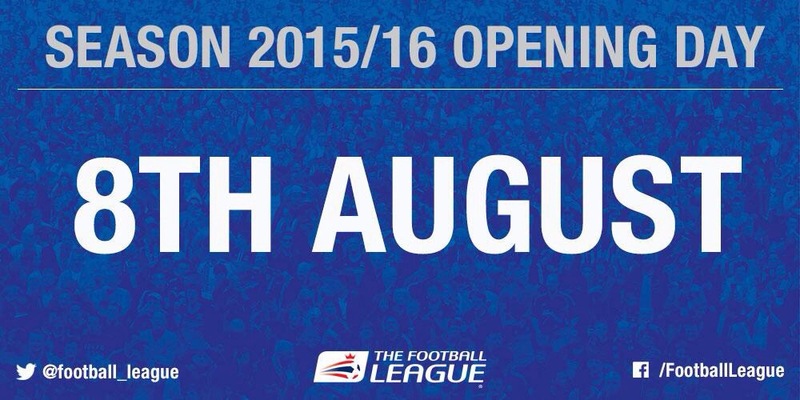 The fixtures have been announced for the forthcoming 2015/16 Football League season, with numerous club rivalries ready to be renewed.Following Burnley’s return to The Football League, the East Lancashire Derby is back among the fixtures, with the Clarets making the 15-mile trip to Blackburn Rovers on 24th October. 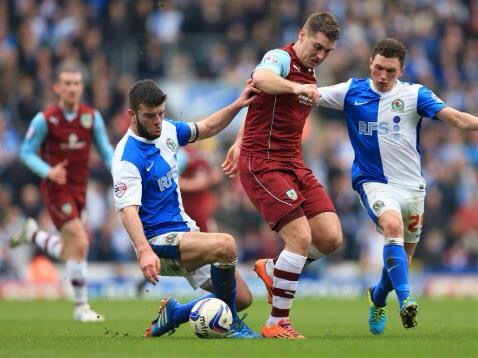 Rovers will be setting their sights on three points after losing to Sean Dyche’s men in their most recent Ewood Park encounter, with Burnley going on to clinch promotion from the Sky Bet Championship in the 2013/14 season. Getting in on the act this year too will be Preston North End. They haven’t met Blackburn since 2001, but will host Gary Bowyer’s side in November, before making the short trip to Turf Moor a fortnight later. Colchester United will welcome fellow Essex outfit Southend United on Boxing Day in Sky Bet League 1, a week after Millwall host rivals Gillingham at the Den – it’s been five years since both of those derbies last took place. The pair were two tiers apart last term, but Leyton Orient’s relegation combined with Barnet’s title-winning Conference campaign see the clubs meet in the League for the first time since 2006, and the newly-promoted Bees will be aiming to break a spell of eight winless games against Orient. 8 August 2015: Burton Albion v Scunthorpe United, Chesterfield v Barnsley, Colchester United v Blackpool, Coventry City v Wigan Athletic, Crewe Alexandra v Port Vale, Doncaster Rovers v Bury, Fleetwood Town v Southend United, Gillingham v Sheffield United, Rochdale v Peterborough United, Shrewsbury Town v Millwall, Swindon Town v Bradford City, Walsall v Oldham Athletic. 15 August 2015: Barnsley v Burton Albion, Blackpool v Rochdale, Bradford City v Shrewsbury Town, Bury v Swindon Town, Millwall v Coventry City, Oldham Athletic v Fleetwood Town, Peterborough United v Colchester United, Port Vale v Gillingham, Scunthorpe United v Crewe Alexandra, Sheffield United v Chesterfield, Southend United v Walsall, Wigan Athletic v Doncaster Rovers. 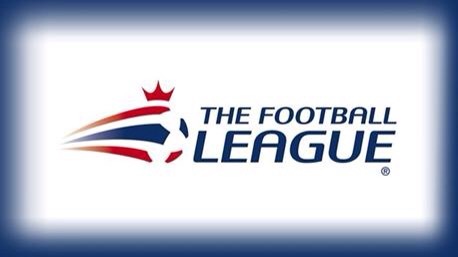 18 August 2015: Blackpool v Burton Albion, Bradford City v Gillingham, Bury v Fleetwood Town, Colchester United v Oldham Athletic, Coventry City v Crewe Alexandra, Doncaster Rovers v Southend United, Millwall v Barnsley, Peterborough United v Sheffield United, Rochdale v Walsall, Shrewsbury Town v Chesterfield, Swindon Town v Port Vale, Wigan Athletic v Scunthorpe United. 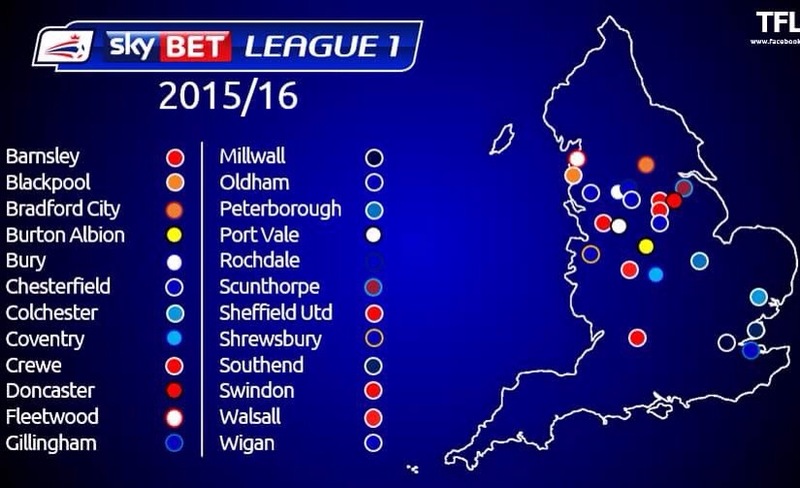 29 August 2015: Blackpool v Walsall, Bradford City v Port Vale, Bury v Oldham Athletic, Colchester United v Scunthorpe United, Coventry City v Southend United, Doncaster Rovers v Fleetwood Town, Millwall v Chesterfield, Peterborough United v Gillingham, Rochdale v Barnsley, Shrewsbury Town v Burton Albion, Swindon Town v Sheffield United, Wigan Athletic v Crewe Alexandra. 5 September 2015: Barnsley v Shrewsbury Town, Burton Albion v Coventry City, Chesterfield v Wigan Athletic, Crewe Alexandra v Swindon Town, Fleetwood Town v Rochdale, Gillingham v Doncaster Rovers, Oldham Athletic v Bradford City, Port Vale v Millwall, Scunthorpe United v Blackpool, Sheffield United v Colchester United, Southend United v Peterborough United, Walsall v Bury. 12 September 2015: Barnsley v Swindon Town, Burton Albion v Rochdale, Chesterfield v Colchester United, Crewe Alexandra v Millwall, Fleetwood Town v Bradford City, Gillingham v Blackpool, Oldham Athletic v Peterborough United, Port Vale v Wigan Athletic, Scunthorpe United v Coventry City, Sheffield United v Bury, Southend United v Shrewsbury Town,Walsall v Doncaster Rovers. 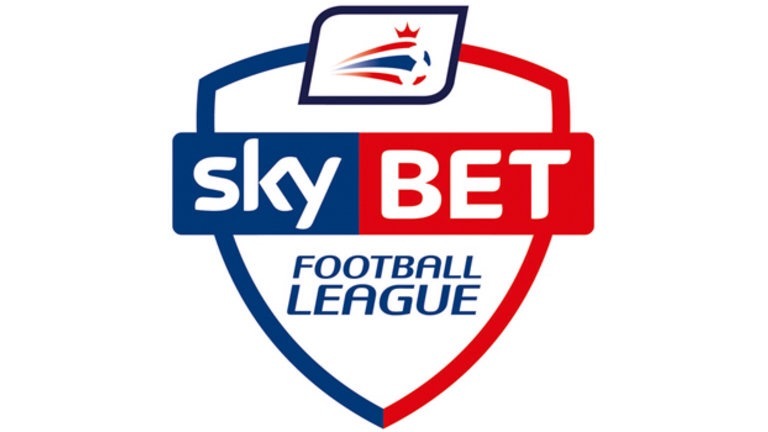 26 September 2015: Barnsley v Gillingham, Bradford City v Peterborough United, Bury v Coventry City, Chesterfield v Burton Albion, Fleetwood Town v Port Vale, Millwall v Rochdale, Oldham Athletic v Wigan Athletic, Sheffield United v Doncaster Rovers, Shrewsbury Town v Blackpool, Southend United v Scunthorpe United, Swindon Town v Colchester United, Walsall v Crewe Alexandra. 3 October 2015: Blackpool v Swindon Town, Burton Albion v Southend United, Colchester United v Bury, Coventry City v Shrewsbury Town, Crewe Alexandra v Chesterfield, Doncaster Rovers v Barnsley, Gillingham v Oldham Athletic, Peterborough United v Millwall, Port Vale v Sheffield United, Rochdale v Bradford City, Scunthorpe United v Fleetwood Town, Wigan Athletic v Walsall. 10 October 2015: Barnsley v Crewe Alexandra, Bradford City v Blackpool, Bury v Wigan Athletic, Chesterfield v Gillingham, Fleetwood Town v Coventry City, Millwall v Doncaster Rovers, Oldham Athletic v Scunthorpe United, Sheffield United v Rochdale, Shrewsbury Town v Colchester United, Southend United v Port Vale, Swindon Town v Peterborough United, Walsall v Burton Albion. 17 October 2015: Bury v Rochdale, Coventry City v Blackpool, Crewe Alexandra v Gillingham, Doncaster Rovers v Bradford City, Fleetwood Town v Burton Albion, Millwall v Swindon Town, Oldham Athletic v Sheffield United, Port Vale v Peterborough United, Scunthorpe United v Shrewsbury Town, Southend United v Barnsley, Walsall v Chesterfield, Wigan Athletic v Colchester United. 20 October 2015: Barnsley v Walsall, Blackpool v Millwall, Bradford City v Bury, Burton Albion v Crewe Alexandra, Chesterfield v Southend United, Colchester United v Port Vale, Gillingham v Scunthorpe United, Peterborough United v Wigan Athletic, Rochdale v Coventry City, Sheffield United v Fleetwood Town, Shrewsbury Town v Doncaster Rovers, Swindon Town v Oldham Athletic. 24 October 2015: Barnsley v Fleetwood Town, Blackpool v Crewe Alexandra, Bradford City v Wigan Athletic, Burton Albion v Port Vale, Chesterfield v Scunthorpe United, Colchester United v Walsall,Gillingham v Southend United, Peterborough United v Doncaster Rovers, Rochdale v Oldham Athletic, Sheffield United v Millwall, Shrewsbury Town v Bury, Swindon Town v Coventry City. 31 October 2015: Bury v Blackpool, Coventry City v Peterborough United, Crewe Alexandra v Sheffield United, Doncaster Rovers v Colchester United, Fleetwood Town v Chesterfield, Millwall v Bradford City, Oldham Athletic v Burton Albion, Port Vale v Shrewsbury Town, Scunthorpe United v Barnsley, Southend United v Rochdale, Walsall v Gillingham, Wigan Athletic v Swindon Town. 7 November 2015: Barnsley v Port Vale, Blackpool v Doncaster Rovers, Bradford City v Crewe Alexandra, Burton Albion v Millwall, Chesterfield v Oldham Athletic, Colchester United v Coventry City, Gillingham v Bury, Peterborough United v Fleetwood Town, Rochdale v Wigan Athletic, Sheffield United v Southend United, Shrewsbury Town v Walsall, Swindon Town v Scunthorpe United. 21 November 2015: Bury v Burton Albion, Coventry City v Gillingham, Crewe Alexandra v Peterborough United,Doncaster Rovers v Rochdale,Fleetwood Town v Swindon Town, Millwall v Colchester United, Oldham Athletic v Barnsley, Port Vale v Chesterfield, Scunthorpe United v Bradford City, Southend United v Blackpool, Walsall v Sheffield United, Wigan Athletic v Shrewsbury Town. 24 November 2015: Bradford City v Coventry City, Bury v Scunthorpe United, Colchester United v Crewe Alexandra, Doncaster Rovers v Chesterfield, Fleetwood Town v Millwall, Gillingham v Rochdale, Oldham Athletic v Southend United, Peterborough United v Barnsley, Port Vale v Blackpool, Sheffield United v Shrewsbury Town, Swindon Town v Walsall, Wigan Athletic v Burton Albion. 28 November 2015: Barnsley v Sheffield United, Blackpool v Fleetwood Town, Burton Albion v Colchester United, Chesterfield v Swindon Town, Coventry City v Doncaster Rovers, Crewe Alexandra v Oldham Athletic, Millwall v Bury, Rochdale v Port Vale, Scunthorpe United v Peterborough United, Shrewsbury Town v Gillingham, Southend United v Wigan Athletic, Walsall v Bradford City. 12 December 2015: Bradford City v Southend United, Bury v Chesterfield, Colchester United v Barnsley, Doncaster Rovers v Crewe Alexandra, Fleetwood Town v Walsall, Gillingham v Burton Albion,Oldham Athletic v Millwall, Peterborough United v Shrewsbury Town, Port Vale v Scunthorpe United, Sheffield United v Coventry City,Swindon Town v Rochdale, Wigan Athletic v Blackpool. 19 December 2015: Barnsley v Wigan Athletic, Blackpool v Peterborough United,Burton Albion v Doncaster Rovers, Chesterfield v Bradford City, Coventry City v Oldham Athletic, Crewe Alexandra v Fleetwood Town, Millwall v Gillingham, Rochdale v Colchester United, Scunthorpe United v Sheffield United, Shrewsbury Town v Swindon Town, Southend United v Bury, Walsall v Port Vale. 26 December 2015: Blackpool v Oldham Athletic, Bradford City v Burton Albion,Bury v Barnsley, Colchester United v Southend United,Coventry City v Port Vale, Doncaster Rovers v Scunthorpe United,Millwall v Walsall, Peterborough United v Chesterfield, Rochdale v Crewe Alexandra, Shrewsbury Town v Fleetwood Town, Swindon Town v Gillingham, Wigan Athletic v Sheffield United. 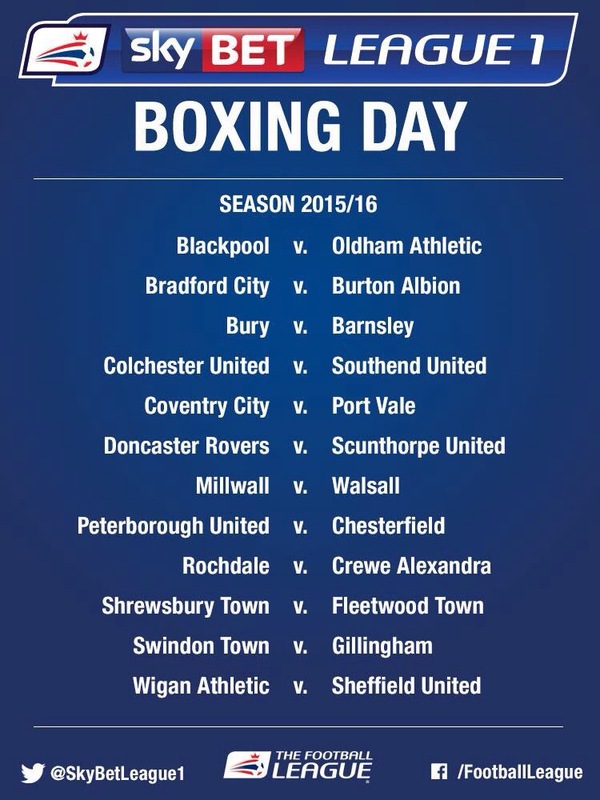 28 December 2015: Barnsley v Blackpool, Burton Albion v Swindon Town, Chesterfield v Coventry City, Crewe Alexandra v Shrewsbury Town, Fleetwood Town v Wigan Athletic, Gillingham v Colchester United, Oldham Athletic v Doncaster Rovers, Port Vale v Bury, Scunthorpe United v Rochdale, Sheffield United v Bradford City, Southend United v Millwall, Walsall v Peterborough United. 2 January 2016: Barnsley v Millwall, Burton Albion v Blackpool, Chesterfield v Shrewsbury Town, Crewe Alexandra v Coventry City, Fleetwood Town v Bury, Gillingham v Bradford City, Oldham Athletic v Colchester United, Port Vale v Swindon Town, Scunthorpe United v Wigan Athletic, Sheffield United v Peterborough United, Southend United v Doncaster Rovers, Walsall v Rochdale. 9 January 2016: Blackpool v Sheffield United, Bradford City v Barnsley, Bury v Crewe Alexandra, Colchester United v Fleetwood Town, Coventry City v Walsall, Doncaster Rovers v Port Vale, Millwall v Scunthorpe United, Peterborough United v Burton Albion, Rochdale v Chesterfield, Shrewsbury Town v Oldham Athletic, Swindon Town v Southend United, Wigan Athletic v Gillingham. 16 January 2016: Blackpool v Scunthorpe United, Bradford City v Oldham Athletic, Bury v Walsall, Colchester United v Sheffield United, Coventry City v Burton Albion, Doncaster Rovers v Gillingham, Millwall v Port Vale, Peterborough United v Southend United, Rochdale v Fleetwood Town, Shrewsbury Town v Barnsley, Swindon Town v Crewe Alexandra, Wigan Athletic v Chesterfield. 23 January 2016: Barnsley v Rochdale, Burton Albion v Shrewsbury Town, Chesterfield v Millwall, Crewe Alexandra v Wigan Athletic, Fleetwood Town v Doncaster Rovers, Gillingham v Peterborough United, Oldham Athletic v Bury, Port Vale v Bradford City, Scunthorpe United v Colchester United, Sheffield United v Swindon Town, Southend United v Coventry City, Walsall v Blackpool. 30 January 2016: Blackpool v Gillingham, Bradford City v Fleetwood Town, Bury v Sheffield United, Colchester United v Chesterfield, Coventry City v Scunthorpe United, Doncaster Rovers v Walsall, Millwall v Crewe Alexandra, Peterborough United v Oldham Athletic, Rochdale v Burton Albion, Shrewsbury Town v Southend United, Swindon Town v Barnsley, Wigan Athletic v Port Vale. 6 February 2016: Barnsley v Bury, Burton Albion v Bradford City, Chesterfield v Peterborough United, Crewe Alexandra v Rochdale, Fleetwood Town v Shrewsbury Town, Gillingham v Swindon Town, Oldham Athletic v Blackpool, Port Vale v Coventry City, Scunthorpe United v Doncaster Rovers, Sheffield United v Wigan Athletic, Southend United v Colchester United, Walsall v Millwall. 20 February 2016: Barnsley v Doncaster Rovers, Bradford City v Rochdale, Bury v Colchester United, Chesterfield v Crewe Alexandra, Fleetwood Town v Scunthorpe United, Millwall v Peterborough United, Oldham Athletic v Gillingham, Sheffield United v Port Vale, Shrewsbury Town v Coventry City, Southend United v Burton Albion, Swindon Town v Blackpool, Walsall v Wigan Athletic. 27 February 2016: Blackpool v Bradford City, Burton Albion v Walsall, Colchester United v Shrewsbury Town, Coventry City v Fleetwood Town, Crewe Alexandra v Barnsley, Doncaster Rovers v Millwall, Gillingham v Chesterfield, Peterborough United v Swindon Town, Port Vale v Southend United, Rochdale v Sheffield United, Scunthorpe United v Oldham Athletic, Wigan Athletic v Bury. 1 March 2016: Barnsley v Coventry City, Bradford City v Colchester United, Bury v Peterborough United, Chesterfield v Blackpool, Fleetwood Town v Gillingham, Millwall v Wigan Athletic, Oldham Athletic v Port Vale, Sheffield United v Burton Albion, Shrewsbury Town v Rochdale, Southend United v Crewe Alexandra, Swindon Town v Doncaster Rovers, Walsall v Scunthorpe United. 5 March 2016: Bury v Bradford City, Coventry City v Rochdale, Crewe Alexandra v Burton Albion, Doncaster Rovers v Shrewsbury Town, Fleetwood Town v Sheffield United, Millwall v Blackpool, Oldham Athletic v Swindon Town, Port Vale v Colchester United, Scunthorpe United v Gillingham, Southend United v Chesterfield, Walsall v Barnsley, Wigan Athletic v Peterborough United. 12 March 2016: Barnsley v Southend United, Blackpool v Coventry City, Bradford City v Doncaster Rovers, Burton Albion v Fleetwood Town, Chesterfield v Walsall, Colchester United v Wigan Athletic, Gillingham v Crewe Alexandra, Peterborough United v Port Vale,Rochdale v Bury, Sheffield United v Oldham Athletic, Shrewsbury Town v Scunthorpe United, Swindon Town v Millwall. 19 March 2016: Bury v Shrewsbury Town, Coventry City v Swindon Town, Crewe Alexandra v Blackpool, Doncaster Rovers v Peterborough United, Fleetwood Town v Barnsley, Millwall v Sheffield United, Oldham Athletic v Rochdale, Port Vale v Burton Albion, Scunthorpe United v Chesterfield, Southend United v Gillingham, Walsall v Colchester United, Wigan Athletic v Bradford City. 26 March 2016: Barnsley v Scunthorpe United, Blackpool v Bury, Bradford City v Millwall, Burton Albion v Oldham Athletic, Chesterfield v Fleetwood Town, Colchester United v Doncaster Rovers, Gillingham v Walsall, Peterborough United v Coventry City, Rochdale v Southend United, Sheffield United v Crewe Alexandra, Shrewsbury Town v Port Vale, Swindon Town v Wigan Athletic. 28 March 2016: Bury v Gillingham, Coventry City v Colchester United, Crewe Alexandra v Bradford City, Doncaster Rovers v Blackpool, Fleetwood Town v Peterborough United, Millwall v Burton Albion, Oldham Athletic v Chesterfield, Port Vale v Barnsley, Scunthorpe United v Swindon Town, Southend United v Sheffield United, Walsall v Shrewsbury Town, Wigan Athletic v Rochdale. 2 April 2016: Barnsley v Oldham Athletic, Blackpool v Southend United, Bradford City v Scunthorpe United, Burton Albion v Bury, Chesterfield v Port Vale, Colchester United v Millwall, Gillingham v Coventry City, Peterborough United v Crewe Alexandra, Rochdale v Doncaster Rovers, Sheffield United v Walsall, Shrewsbury Town v Wigan Athletic, Swindon Town v Fleetwood Town. 9 April 2016: Barnsley v Chesterfield, Blackpool v Colchester United, Bradford City v Swindon Town, Bury v Doncaster Rovers, Millwall v Shrewsbury Town, Oldham Athletic v Walsall, Peterborough United v Rochdale, Port Vale v Crewe Alexandra, Scunthorpe United v Burton Albion, Sheffield United v Gillingham, Southend United v Fleetwood Town, Wigan Athletic v Coventry City. 16 April 2016: Burton Albion v Barnsley, Chesterfield v Sheffield United, Colchester United v Peterborough United, Coventry City v Millwall, Crewe Alexandra v Scunthorpe United, Doncaster Rovers v Wigan Athletic,Fleetwood Town v Oldham Athletic, Gillingham v Port Vale, Rochdale v Blackpool, Shrewsbury Town v Bradford City, Swindon Town v Bury, Walsall v Southend United. 19 April 2016: Barnsley v Peterborough United, Blackpool v Port Vale, Burton Albion v Wigan Athletic, Chesterfield v Doncaster Rovers, Coventry City v Bradford City, Crewe Alexandra v Colchester United,Millwall v Fleetwood Town, Rochdale v Gillingham, Scunthorpe United v Bury, Shrewsbury Town v Sheffield United, Southend United v Oldham Athletic, Walsall v Swindon Town. 23 April 2016: Bradford City v Walsall, Bury v Millwall, Colchester United v Burton Albion, Doncaster Rovers v Coventry City, Fleetwood Town v Blackpool, Gillingham v Shrewsbury Town, Oldham Athletic v Crewe Alexandra, Peterborough United v Scunthorpe United, Port Vale v Rochdale, Sheffield United v Barnsley, Swindon Town v Chesterfield, Wigan Athletic v Southend United. 8 May 2016: Bradford City v Chesterfield, Bury v Southend United, Colchester United v Rochdale, Doncaster Rovers v Burton Albion, Fleetwood Town v Crewe Alexandra, Gillingham v Millwall, Oldham Athletic v Coventry City, Peterborough United v Blackpool, Port Vale v Walsall, Sheffield United v Scunthorpe United, Swindon Town v Shrewsbury Town, Wigan Athletic v Barnsley. As we all know, Tom Pope’s Vale journey has came to an end, after several years at the club Tom has finally made a decision to leave the Valiants. I am quite saddened that Tom has made a decision to leave Vale, and hopefully our chairman Norman will bring someone who is able to make up for Tom’s latest departure. 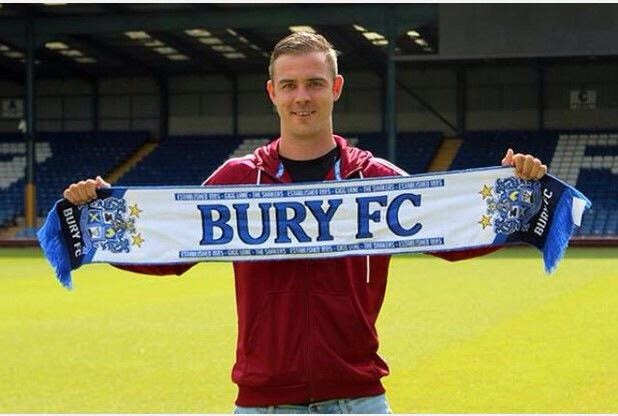 The 29-year-old, from Sneyd Green, today signed a three-year contract with the Shakers after turning down Vale’s offer of a pay cut of around 50 per cent to stay. Pope leaves as Vale’s 11th highest all-time goalscorer, having netted 69 since arriving in January 2011, initially on loan from Rotherham before completing his transfer that summer. The Shakers are two years into a five-year plan to reach the Championship and the move to the Lancashire club means Pope can travel from the Potteries. He said: “It was massively difficult. 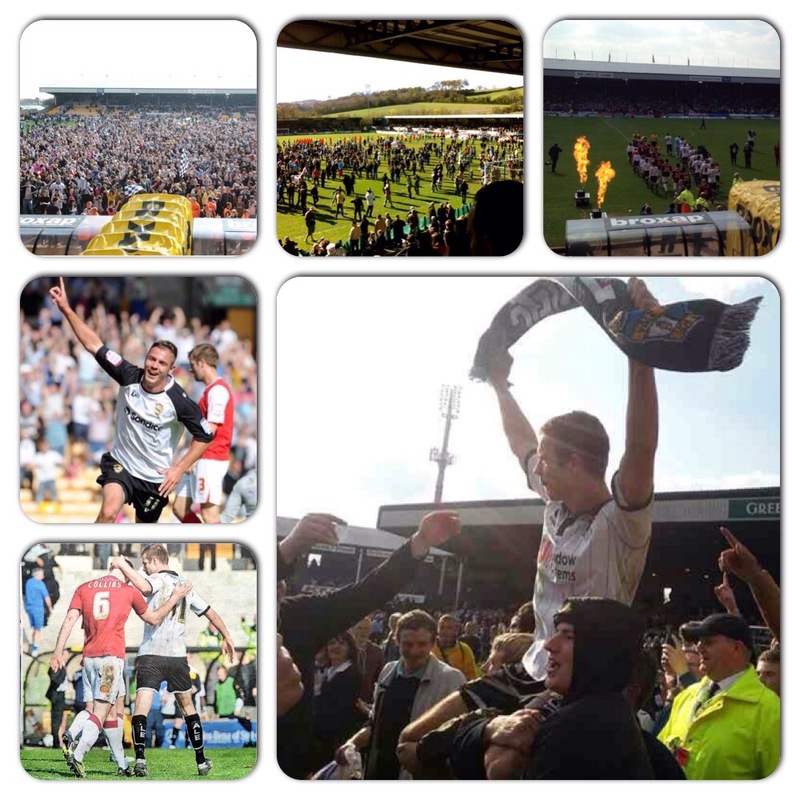 Everyone who knows me knows I am a Vale fan and half my friends and family are season ticket holders. Pope’s exploits for Vale include 33 goals to help them to promotion back to League One in 2012/13 when he was named League Two player of the year. He’s also been named Vale’s player of the year twice and scored 12 goals last season despite missing three months of the campaign after knee surgery. He said: “I feel lucky to have played as long as I did for Port Vale and achieved what we did. “I don’t want to fall out with anyone. The chairman has to look after the club and run it as close to a profit as he can to keep it going. “But I can’t change the finances of the club so I have had to make the decision that is best for me and my family. I have no complaints about Port Vale. Here are a few things that have happened since he took up his first post there: the founding of Apple computers, punk rock, not only the birth of current world footballer of the year Cristiano Ronaldo but the meeting of his parents; the Space Shuttle, the fall of the Berlin Wall, Pol Pot becoming prime minister of Cambodia. 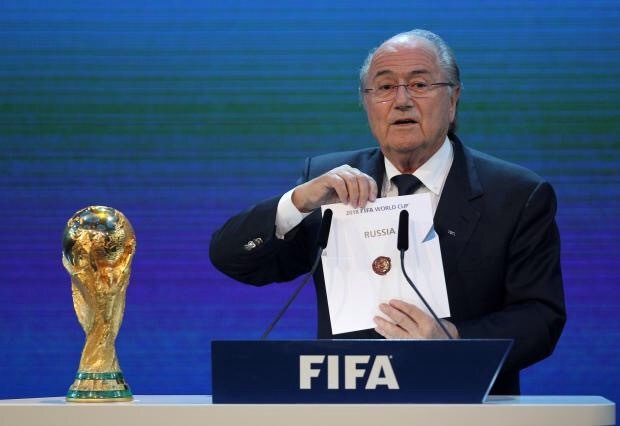 Blatter did not just control the most popular sport in the world. As befits the boy who reportedly possessed the only professional-quality ball at his primary school, he acted as if he owned football itself. 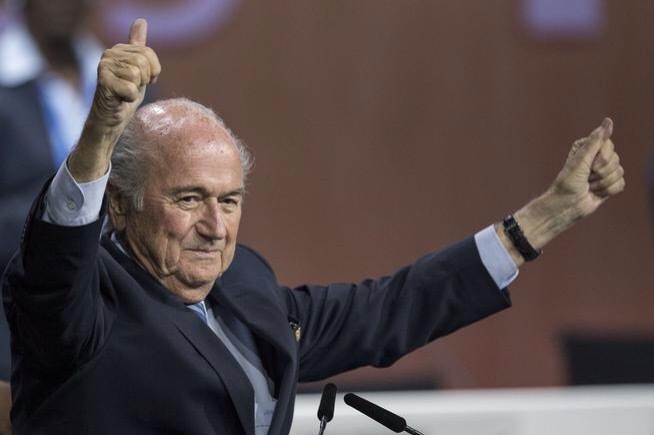 “I am the president now, the president of everybody,” he said after winning a fifth term as Fifa’s head last Friday. What would have sounded like parody coming from the mouth of anyone else served instead as an accurate reflection of his own self-image. The dark storm of allegations which led to Blatter’s dramatic resignation on Tuesday are only the most recent of the venal affairs to dog sport at the highest level. The allegations of bribery in Salt Lake City’s successful campaign to host the 2002 Winter Olympics saw 10 senior International Olympic Committee figures resign. But that was one event, at one moment in time. Football is the dominant global game. For more than a decade, its highest custodians stand accused of endemic and methodical corruption. As mea culpas go, “my mandate does not appear to be supported by everybody” is Sepp’s equivalent of wardrobe malfunction, an empty phrase that only hints at the naked scandal beneath. “Crisis? What is a crisis?” he famously asked before being voted in unopposed four years ago. This last week alone serves as a neat summary: seven Fifa officials arrested in Switzerland at the request of the US authorities investigating corruption of more than $150m (£97m); reports claiming Fifa general secretary Jerome Valcke was responsible for an alleged $10m (£6m) payment of bribes over South Africa’s bid to host the 2010 World Cup; a separate criminal investigation by Swiss authorities into how the 2018 and 2022 World Cups were allocated. And there are scandals within the scandals. 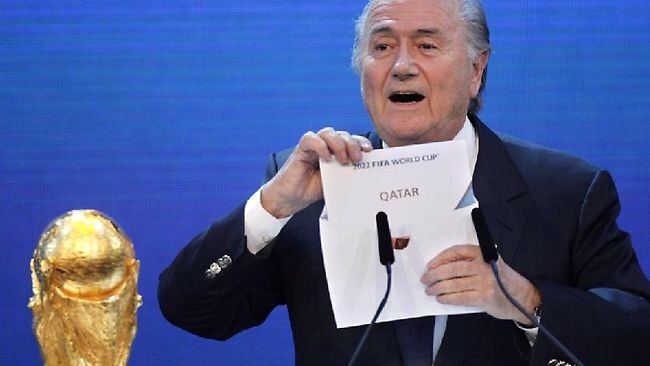 If the decision to award Qatar the 2022 World Cup was not contentious enough in itself, in December last year Fifa chose not to release its own investigation into corruption. The report’s author, American Michael Garcia, immediately resigned. Blatter said last week that he wanted to stay on at Fifa to “lift the shadow” cast by those arrests, which would be like asking disgraced Olympic sprinter Ben Johnson to lead the 1989 Dubin Inquiry, the Canadian government investigation into drug abuse which followed his positive test at the 1988 Seoul Games. 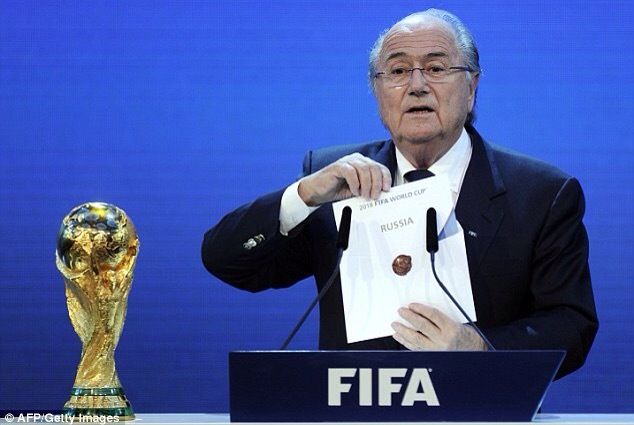 Blatter’s abdication may have been unexpected. But it will be welcomed throughout football, a game that deserves so much better.